For my first review in my home country, I will take you to one of the only few good things in Bandung, Kafe Halaman (translated into ‘backyard café’). This café gave you the feeling of having a meal in a patio on our backyard. Before you start, you might want to familiarise yourself with the menu, since there are literally 100s of things to choose from. Feel free to explore the variety of menu in the restaurant, as I will only list a fraction of it that we actually ordered. Our first starter was this funny looking dish called Rambutan Prawn. Derived from the Rambutan (http://en.wikipedia.org/wiki/Rambutan) image, the noodle-coated prawns were deep fried till they’re golden brown. Enjoyed with condiments of Chilli and Tomato sauce, it was really crunchy. 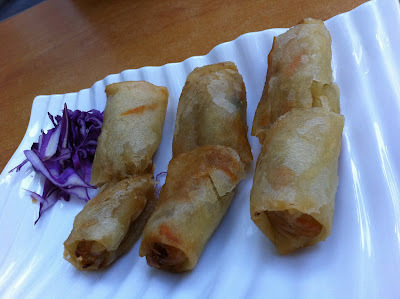 The other starter was Lumpia (Spring Rolls). 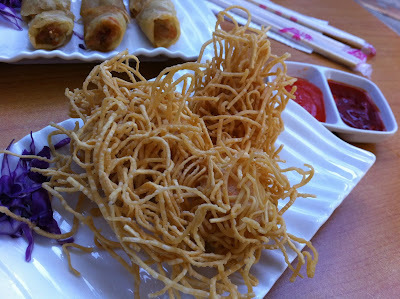 Another deep-fried menu, but this time was too similar with the regular spring rolls, with the exception of their tiny bite-size. We also ordered some share plates of Siomay (Chinese Shumai) and Ceker (Chicken Feet). I will pass on the description of the second one since its admirers are so little. 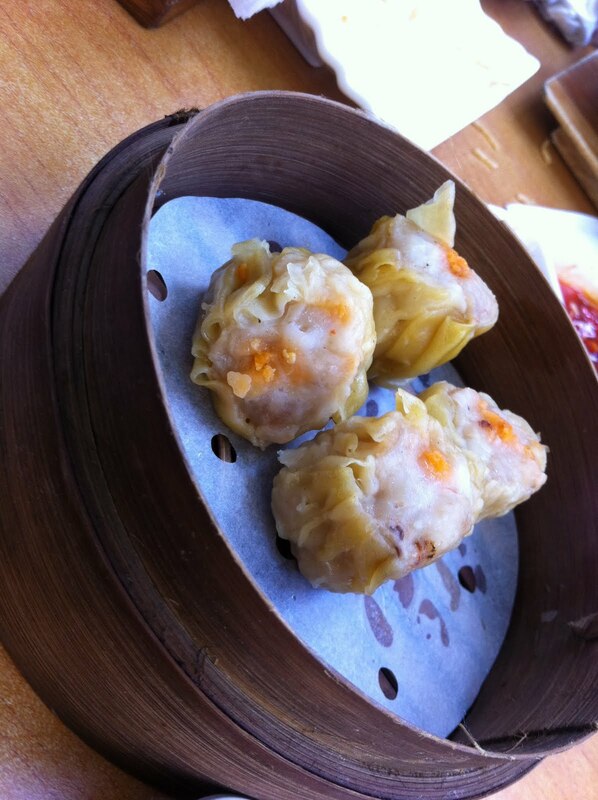 The first one is an Indonesian adaptation of Chinese Shumai. They were slightly more sturdy and solid in appearance and usually more flour than meat. We had two main courses to try with and both of them had the same seasoning. One was Buntut Bakar (Grilled Oxtail). It came with the unique Melinjo crackers and vegetable soup. Again, not anyone will enjoy this kind of treat. 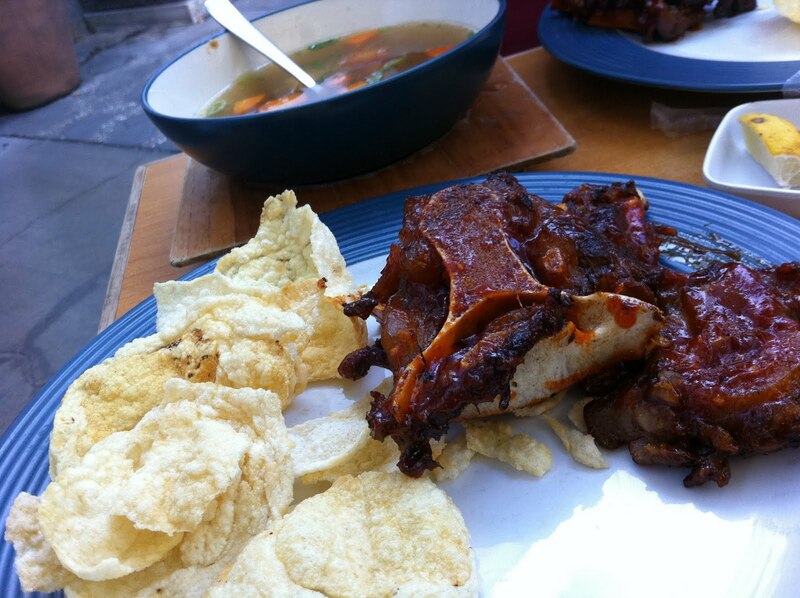 The second one was a bit ‘neutral’, Iga Bakar BBQ (BBQ Ribs). Unfortunately, these are not those gigantic Sydney’s Hurricane’s ribs. Quite the opposite, they were pretty tiny. I think it’s fair enough, considering the very low price of it. 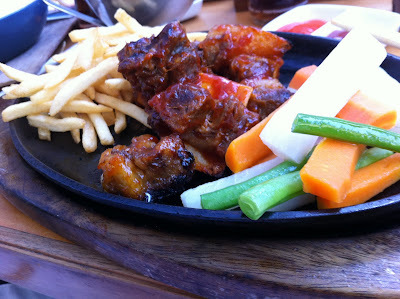 They did come in a nice old-fashioned hot plate, with sides of fries and veggies + additional yummy BBQ sauce. 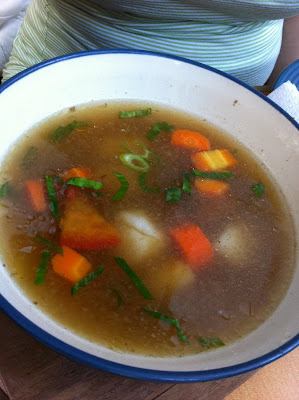 The best thing about Kafe Halaman is its variety. 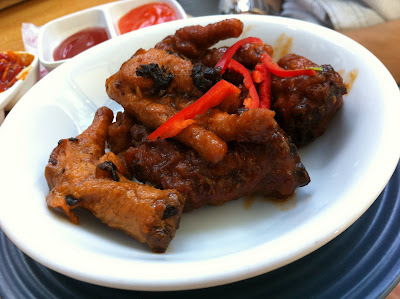 You can choose from Chinese, Western, to traditional Indonesian food and they’re all decent (except maybe the exotic ones – for preference / distaste). It is also one of the few restaurants that open past midnight. There are at least two Kafe Halaman restaurants I know of. This spot is definitely not better than the main one. In terms of taste, it’s not really different. Getting to the mall, on the other hand, is a mammoth task. Paris Van Java is one of the hottest spot in Bandung and considering traffic generally is already pretty bad in Bandung, it is worse at this spot. those are REALLY small ribs. Even the complementary vegetables look huge by comparison..